Your wonderful generosity has spread so much joy this festive season. We have been able to give out dozens of Christmas hampers at the Food Hub, provide bags of groceries to Tuggeranong families in need, and we have seen the delighted faces of more than 30 children of families in our Housing and Supportive Tenancy Services who received presents. In addition, the funds raised during the Frugal Feast campaign will ensure the Food Hub can be replenished throughout January 2016 and beyond. Thank you to everyone who donated, purchased a Shop & Share grocery basket, shared the campaign, hosted a Frugal Feast, entered the writing competition and spread the word – we couldn’t have done it without you! And if you’ve left it til now, there’s still time to donate – just follow the prompts below. By purchasing a virtual ‘Shop & Share’ grocery basket, you’ll be contributing a tax deductible donation to the Food Hub. We believe in providing services that ensure the dignity of our clients – that’s why the Food Hub is run as a pantry-like system, giving clients choice and autonomy in their food selections. Financial donations allow us to purchase a range of non-perishable items, fresh fruit and vegetables, and meat for our clients to select from. As you’ll see through the stories on our Shop & Share page, the needs of our clients differ greatly, and every donation makes a big difference! If you hosted a Frugal Feast event, thank you! If you haven’t already, share it via social media – @ywcacanberra, on Facebook, Twitter and Instagram. 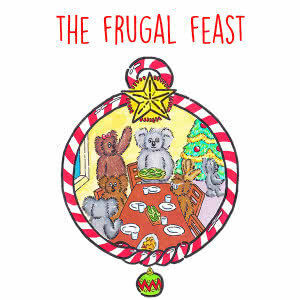 Use #FrugalFeast to join the conversation. Donate all funds raised using our online form. An excerpt from the 1st prize-winning story will be published in the Canberra Times in 2016, as well as the complete story on the ACT Writer’s Centre blog. Robyn is an award-winning writer and poet from the Canberra region. Her novel The Anchoress was awarded the Varuna LitLink NSW Byron Bay Unpublished Manuscript Award in 2010, and continues to receive significant critical acclaim. You can read more about Robyn and her work here. Zoya is the founder/editor of online feminist arts and literature journal, Feminartsy. She is the 2014 Anne Edgeworth Young Writers’ Fellowship recipient, a 2015 Seizure Viva la Novella Editor, was shortlisted for the 2015 Scribe Non-Fiction Prize, and is the 2015 ACT Young Woman of the Year. Zoya also works at YWCA Canberra as Corporate Relations and Advocacy Manager. Kate Chipperfield is the President of YWCA Canberra. Kate has worked across various areas of the government sector including in health. employment, higher education and Indigenous affairs. Currently completing her Master of Public Policy, when not reading up on the theory behind policy design and implementation, Kate loves reading all sorts of great books, especially those by Geraldine Brooks. Thanks for supporting our Food Hub this festive season! Artwork by Leah Falcocchio. You can contact Leah at hello@leahfalcocchio.design or on Instagram @leahfalcocchio.